Pi PR Consultancy has now made available to its clients Video-Press Releases (‘VPRs’). The boutique PR firm which primarily focuses on serving ICT and technology-centric corporations and organisations in Malaysia states that VPRs are exactly the ‘tool’ that the market needs now. This is in order to more effectively reach out to TV stations be it main stream, satellite, cable or online. Anne Edwards, head of Pi Media Productions said in a nutshell, VPRs are no different than the traditional press release that PR communicators and practitioners have been churning out daily, as the medium to disseminate their clients’ news announcements. “The biggest difference with VPRs is that, that same client’s news message is captured and delivered in video format – which makes a world of difference to TV Broadcast media,” Edwards said. Pi PR’s VPR service involves end-to-end preparation of the client’s news angle, scripting, interviews in order to capture sound bites and broadcast visuals which are then handed over via pitches to the respective TV stations in a format that is immediately ready for on-air transmission. “In actual fact, VPRs are easier said than done because it involves TV production insight, expertise and experience – to actually develop something that TV stations can readily use, or customise according to their channel’s unique content delivery style,” Edwards added. 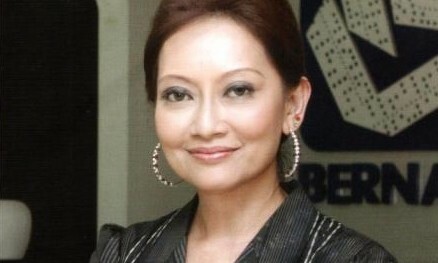 She explained today, Malaysia’ broadcasting sector is at a ‘tipping point’ stage whereby local TV stations are imbued from all directions by the growing presence and influence of digital media. The majority of TV stations in Malaysia are struggling to stay afloat for various reasons including a lack in skilled and disciplined manpower plus talents in the broadcast industry, right down to increased competition from the new digital media. “Today, masses of people from all layers of society are hooked on Facebook-shared videos, YouTube and subscribe to Internet-based TV channels that are sprouting up every other day,” she added. Kaminkow will officially take over the global CEO position at the start of April 2019 but Harding is staying on with the company u..
Aside from the train derailment, netizens are now also expecting the MRT to apologize for this PR blunder. ..